Due to aluminium `yolks’ in the batteries, mobile phone batteries of the future can have immense upgraded capacity as well as lifespans. A team of researchers at MIT and Tsinghua University in China have located a way of developing electrode comprising of nanoparticles having solid shell with internal `yolk’, and have apparently solved an issue with present rechargeable batteries which understands that performance tends to considerably deteriorate after repeated charges. The invention could improve cycle life according to the team, providing a boost in the battery’s capacity as well as power. According to results, the recently developed lithium-ion battery is more resistant to the damage triggered by frequent charge cycles. While the present electrodes tend to degrade over a period of time after growing and shrinking in size with multiple charges, the aluminium `yolk’, filling of the latest design nanoparticles tend to permit increased growth causing less damage to their titanium-dioxide shells. This latest technology not only introduces rechargeable batteries with longer life-spans but it could also have an effect on how long future batteries could hold out between each charge. Though the scientists are still on lab experiments on the technology at the moment, they have expressed confidence in the study owing to the relative low cost of the materials as well as the simplicity of the manufacturing system. According to an Associate Professor at Nanyang Technological University in Singapore, David Lou, `these yolk shell particles portray very impressive performance in lab-scale testing and the most attractive point of this work is that the process seems simple and scalable’. The latest findings, that utilise aluminium as the main material for the lithium-ion battery’s negative electrode, or anode has been reported in the journal Nature Communication, in a paper by MIT professor Ju Li together with six others. 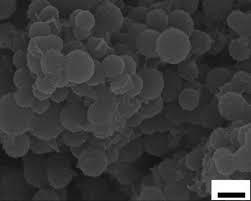 The team has reported that the use of nanoparticles with aluminium yolk together with titanium dioxide shell has been recognised as the `high-rate champion among high-capacity anodes. The present lithium-ion batteries which are the most widely used form of rechargeable batteries tend to use anodes which are made of graphite, a type of carbon. Graphite has charge storage volume of 0.35 ampere-hours per gram –Ah/g.Researchers have, for many years explored various options of providing greater energy storage for a given weight. Lithium metal for instance have the tendency of storing around 10 times as much energy per gram though could be extremely dangerous and capable of short-circuit or even catching fire. Silicon as well as tin has a high capacity, however, the capacity tends to drop at high charging and discharging rates. Aluminium seems to be a low cost option with theoretical capacity of 2 Ah/g. However, aluminium and other high capacity materials, according to Li, tend to expand a lot when they get to high capacity and when they absorb lithium; they then shrink while releasing lithium. The expansion and the contraction of aluminium particles tend to generate excessive mechanical stress causing electrical contacts to disconnect. Moreover, the liquid electrolyte in contact with aluminium also decomposes at the required charge/discharge voltages. It forms a skin known as solid-electrolyte interphase- SEI, layer which would have been alright if not for the repeated huge volume expansion as well as shrinking, causing the SEI particles to shed. Owing to this, previous attempts in creating an aluminium electrode for lithium-ion batteries had not been successful.